Remember the indignity of Chicken Pox? Your skin covered in ugly eruptions, your fever pushing the thermometer, feeling lousy all over? As if it wasn’t enough to go through that misery as a kid, it turns out that the virus that causes the disease never really leaves your body, even after you heal, and in fact, may provoke an even worse disease when you’re too old to reap the perk of missing school. Like Chicken Pox, Shingles is caused by the varicella zoster virus, and it also causes an ugly skin rash and eruptions. But unlike Chicken Pox, the Shingles rash is more limited to a particular area of the body.1 The Chicken Pox rash erupts into blisters all over the body and itches a whole lot. Other symptoms of Chicken Pox include fever, lethargy, and generally feeling lousy. The virus usually lasts a few weeks and only rarely causes serious complications. After the body heals from Chicken Pox, though, the varicella zoster virus remains in the body, traveling to the nerve roots, where it remains dormant until and unless it’s reactivated later in adulthood in the form of Shingles. Whereas Chicken Pox is unpleasant, Shingles is outright painful and can cause serious complications. The pain comes from the fact that the virus causes blisters along a sensory nerve pathway, going deep into the nervous system. About 99 percent of adults over the age of 40 had Chicken Pox as children, and of those adults, about 20 percent will develop Shingles at some point.1 The likelihood increases with age, and stress can up the odds that you’ll get it. So can a compromised immune system and a family history. By the time you’re 85 years old, you have a 50 percent chance of getting Shingles. Given that the disease can cause problems beyond pain during the acute phase, including long-term pain that doesn’t resolve, organ damage, and impaired sight or blindness, it makes sense to try to avoid contracting it. That’s where the Shingles vaccine comes in. The old Zostavax vaccine by Merck Pharmaceuticals was introduced in 2006, and the Centers for Disease Control recommended it to all adults over the age of 60.2 The vaccine was heralded as a major step forward in preventing shingles, and yet, the public was slow to heed the vaccination advice, with only one out of three seniors getting the shot as of 2016. Pundits claim that the resistance was primarily financial, as insurance didn’t necessarily pick up the tab. But unfortunately, as it turns out, Zostavax isn’t all that effective or long-lasting. According to Merck, which conducted its own in-house studies, Zostavax is 65 percent effective in preventing Shingles among those aged 60-69, but only 41 percent effective for patients in their 70s, and 18 percent effective for the 80+ crowd.3 The Centers for Disease Control estimates that the vaccine is 51-percent effective at best based on a 38,000-person study. Obviously, these figures aren’t real impressive, but some might consider it worth it to get the vaccine for a toss-of-the-coin chance of bolstering protection. Plus, there’s some evidence that the vaccine reduces the chances of continuing pain after the acute episode subsides, and those vaccinated people who develop Shingles seem to have less severe cases of the disease, in general.4 On the other hand, the vaccine is not a risk-free proposition. The test of time has shown that the vaccine, which contains live Shingles virus, actually can provoke the onset of Shingles in some recipients. It also can trigger associated diseases such as Meningitis even when Shingles doesn’t manifest. Over 5000 people are suing Merck because the Zostavax vaccine gave them Shingles instead of protecting them from it, and thousands more lawsuits are pending. In its first nine years on the market, Zostavax caused 36 deaths and 1111 serious injuries.5 It doesn’t help that even when the vaccine is effective in preventing Shingles, that protection only lasts about four years and then the patient needs a new vaccination. In spite of these difficulties, sales of Zostavax reached $749 million in 2015 alone. Now though, there’s a new kid on the vaccination block, and experts say it’s much more effective than Zostavax. Unlike Zostavax, the new Shingrix vaccine does not use a live virus to inoculate recipients, instead relying on a dead virus plus an adjuvant (a substance that boosts the action of the vaccine and causes it to produce more antibodies). Tests show that Shingrix is 97 percent effective in preventing Shingles for those up to age 69. For those in their 70s, the vaccine has a 91.3 percent rate of preventing Shingles, compared to 41 percent for Zostavax.6 Plus, Shingrix maintains high levels of protection for many years, unlike its predecessor. And, it’s highly effective in preventing post-Shingles pain. The FDA recommends the Shingrix vaccine for all adults over age 50, including those who already had Shingles, those who previously had the Zostavax vaccine, and even for those who aren’t sure they had chicken pox. There’s no upper age limit for getting the vaccine, either. The Shingrix vaccine, while more effective than Zostavax, also comes with significant side effects and risks. First of all, Shingrix requires two injections, not just one, administered at least two months apart. And those shots hurt, sometimes a lot. According to the manufacturer’s own studies, between 83 and 88-percent of those under the age of 69 experienced “grade 3” pain at the injection site, with 38 percent left with redness and up to 30 percent seeing swelling.7 Grade 3 pain is defined as “significant pain at rest that prevents normal everyday activities.” The figures are a little better for older recipients, with “only” about 70 percent of those older than 70 experiencing such severe pain. But pain on injection is hardly the only problem attributed to the vaccine. More serious side effects included significant muscle pain, fatigue, headaches, shivering, gastrointestinal problems and fever, with more than half the younger recipients reporting the muscle aches and fatigue and over a third experiencing headaches and shivering after the injection. Nearly one quarter developed fevers and gastrointestinal symptoms. Again, those over age 70 fared better, with about one-third reporting muscle pain, fatigue, and headaches, and only 14 percent getting fevers. The good news is that the vaccine did not appear to cause any deaths or bring on any new debilitating diseases. On the other hand, one might be concerned that the adjuvant used in Shingrix is QS-21 Stimulon, which, in an NIH report two years ago, was classified as too toxic for human use.8 It’s unclear whether the company that manufactures Shingrix (GSK Pharmaceuticals) found a way to modify Stimulon to make it safer. And since the vaccine is new to market, its safety record is still developing. In other words, if you get an injection now, you’re part of the developing data. Shingles is a horrible and dangerous disease, and of course, you should do what you can to avoid it. Many who have suffered through Shingles wish they had opted for the vaccine. If you decide that the vaccine is just too risky at this point, experts say you can take vitamin B12 regularly to minimize risk of Shingles and ask for B12 injections if you do come down with the disease. Also, some say Geranium Oil helps with pain. But keep in mind, Shingles is fundamentally an opportunistic disease of the immune system. It strikes when your immune system is stressed or compromised, which is the reason its incidence climbs as you age. (Immune function tends to weaken as you age.) 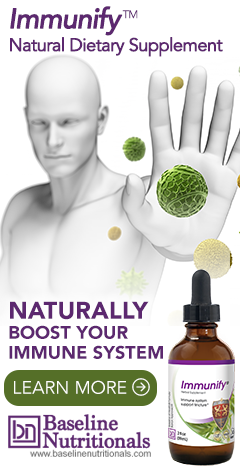 That means your best protection is keeping your immune system optimized. I am 69 years old, 70 in September. I have had shingles at least a dozen times. Therefore not eligible for the vaccine. In the past i have tried my best to see if i could get it, but was refused on age grounds. I have also read online resources like mayo clinic and EverydayHealth for shingles vaccine. I now hear that two hundred thousand didn't take this vaccine up. I now am on a permanent anti viral medication. Why couldn't I have had the vaccine? Also now I have had it so many times will the vaccine work?